Hope everyone got their paperwork in. We sent off our check a few weeks ago, only to have it return to us with “insufficient postage.” Looks like we have more than one government agency after us. 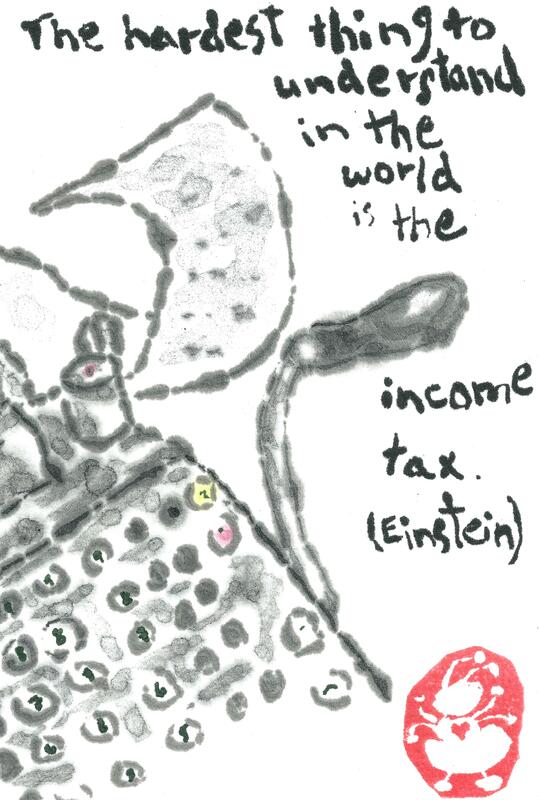 The Quote Investigator says, however, that Einstein probably didn’t say this. It’s certainly not a direct quote from his, work, but a reported statement from a man who was Einstein’s friend and tax accountant. I’m siding with all of us who hope he said it though — if Einstein had trouble with it, then I shouldn’t feel bad having trouble with it.